Phuket, Blue Siam Beach Club. 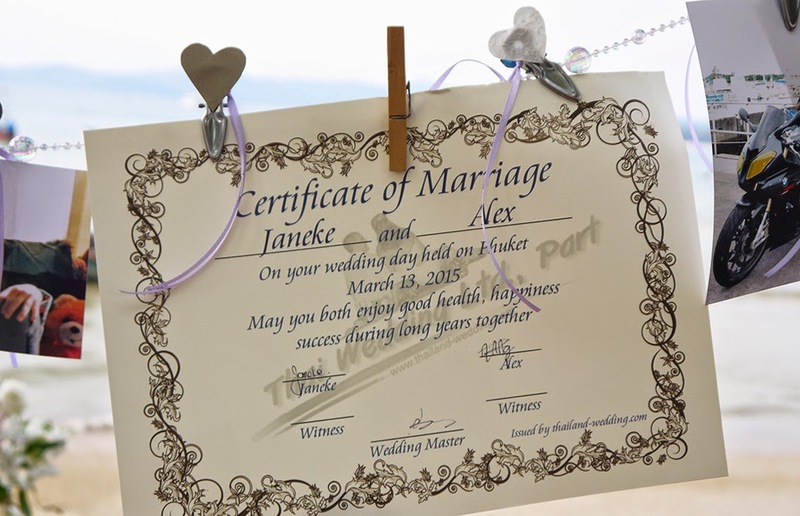 to check every detail for the Ceremony. 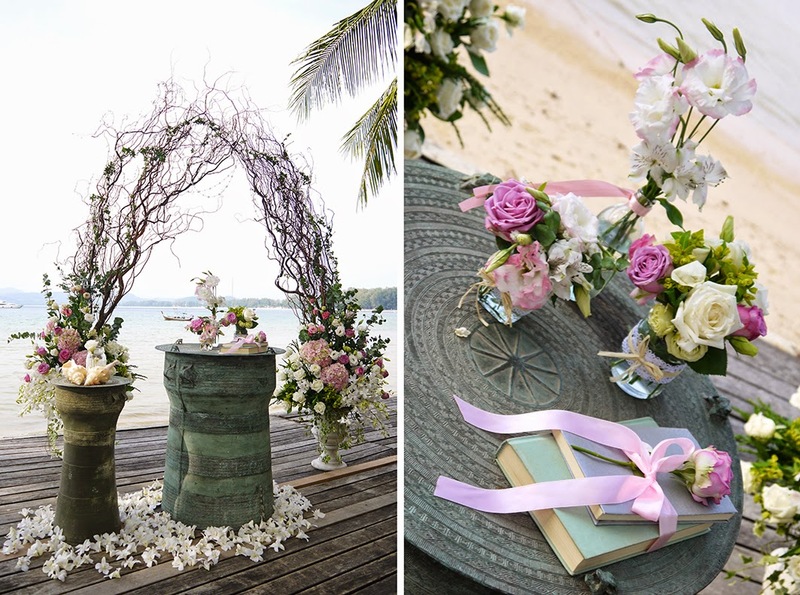 For the “Bo-ho Fairytale Theme” She chose Shabby Romantic mixed Flowers in Pastel Colors. Vintage Details like Jars, Books and Laces. 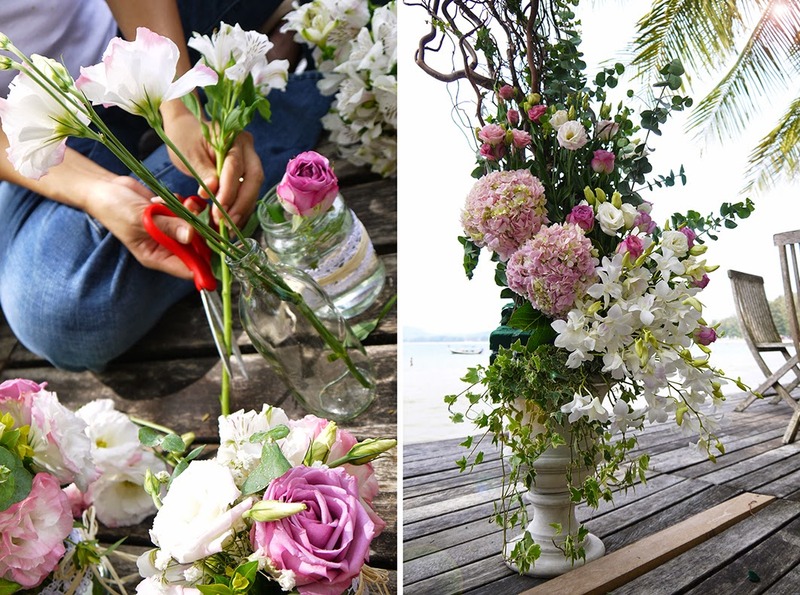 Setup on a Deck, with Thai Heritage Furniture, Branches and Fresh Flowers. Original Vintage Handmade Ring Pillow. 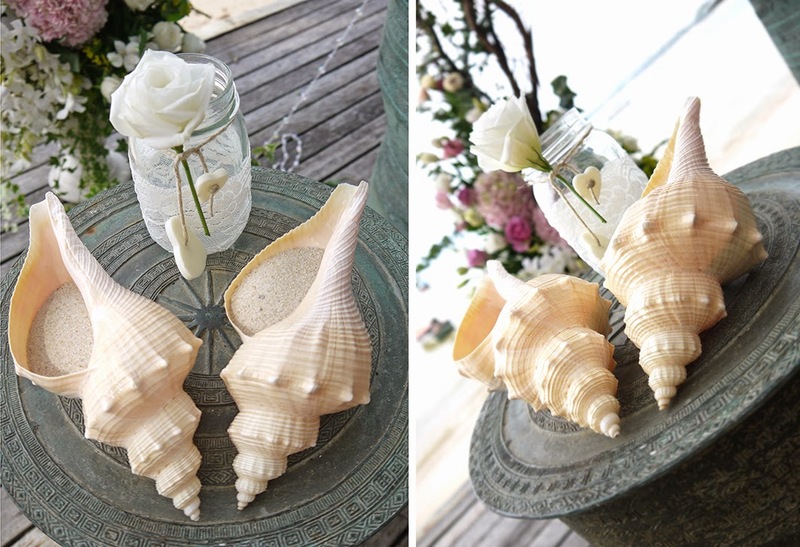 Unique pieces for Sand Blending Ritual: Shells and a decorated Jar. 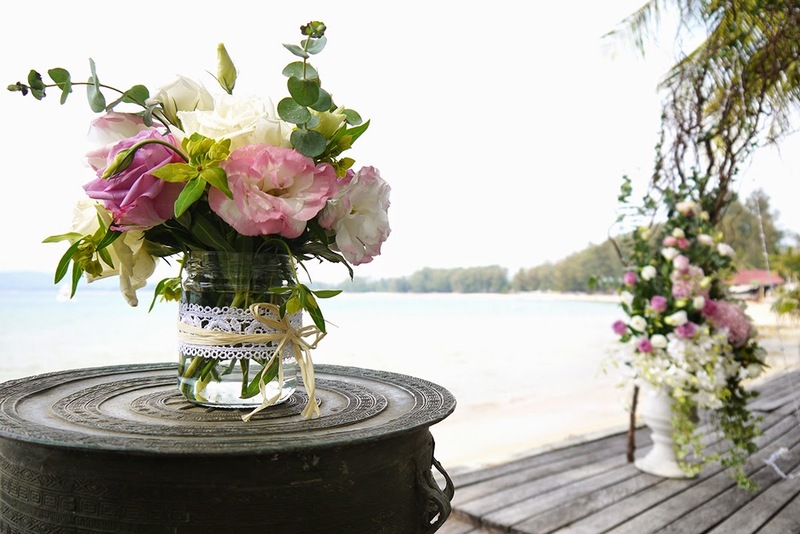 If you wish to have your Thailand Destination Wedding… just contact us! 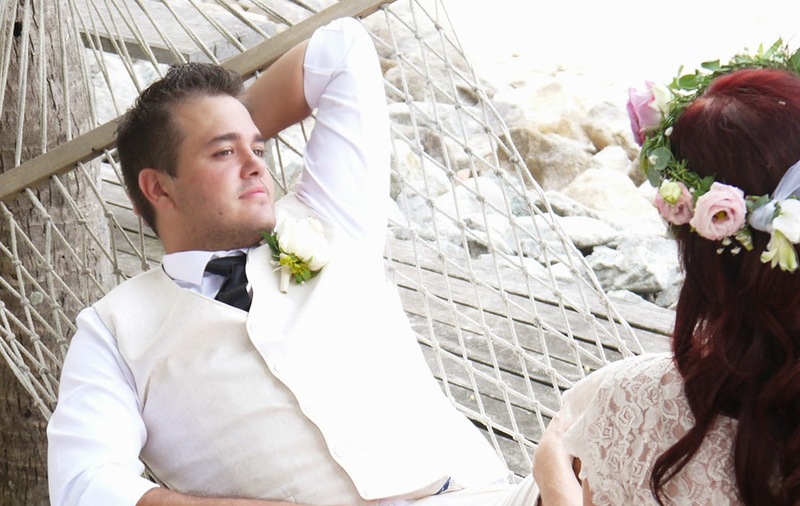 See the full photo gallery by Wedding Boutique Phuket.